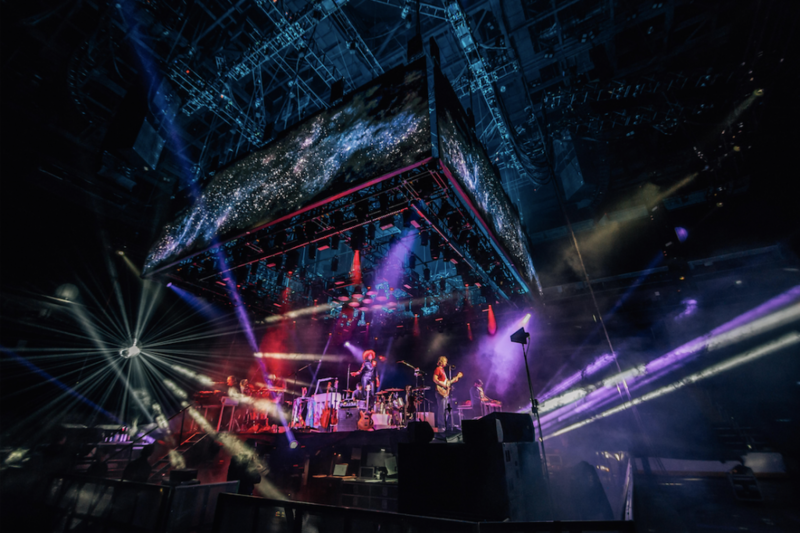 Welcome to Ticketmaster Insiders: a new Q&A series showcasing the magic of live events from behind the scenes. If you’ve seen a show whose visual design blew your mind, chances are this studio was behind it. When it comes to creating unforgettable experiences, no mission is impossible for Moment Factory. Based in Montreal, the multimedia studio has created innovative and interactive environments using video, lighting, architecture, animation, sound, and special effects for clients as far and wide as the Los Angeles International Airport, the NFL, and iconic artists like Nine Inch Nails, Madonna, Arcade Fire, Ed Sheeran, and Phish. 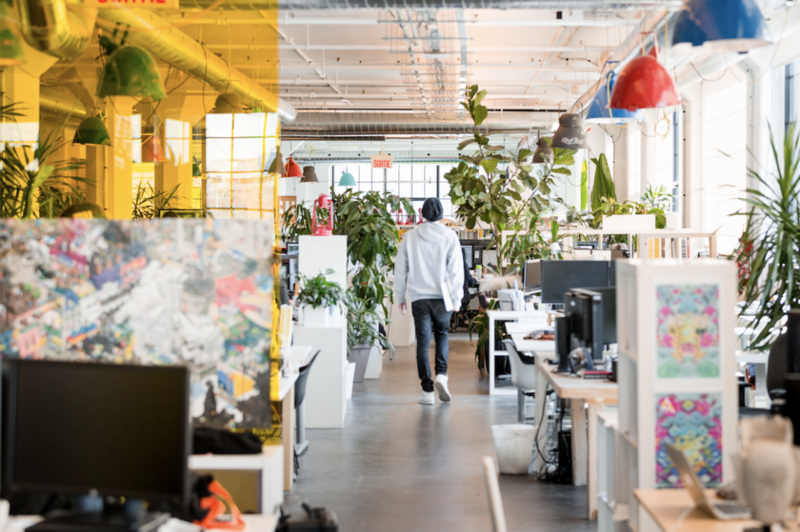 Moment Factory’s global team comprises a range of talents, from visual artists and 3D designers to multimedia directors, architects, and confetti-cannon operators (yes, literally!). 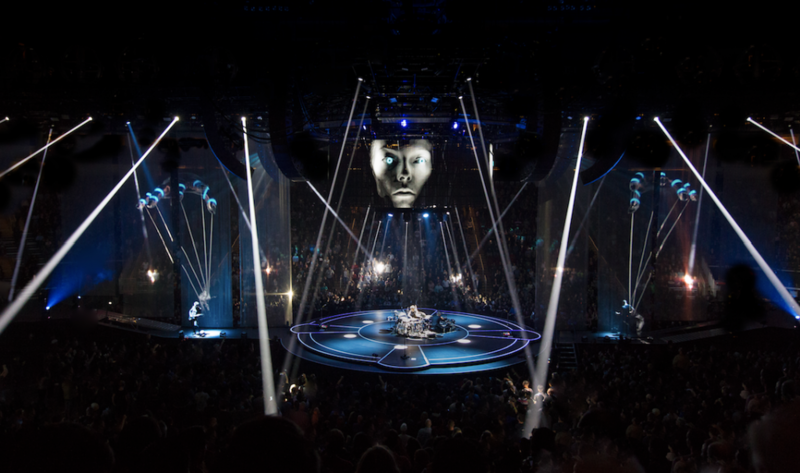 To understand the ins and outs of how they make some of the wildest ideas come to life — like Muse’s futuristic Drones World Tour — we seized an opportunity to speak with producer Daniel Jean, who has been with the company since its inception in 2001. Jean talked to us about how Moment Factory got its start and how the company continues to expand the possibilities of technology, entertainment, and collective experiences. 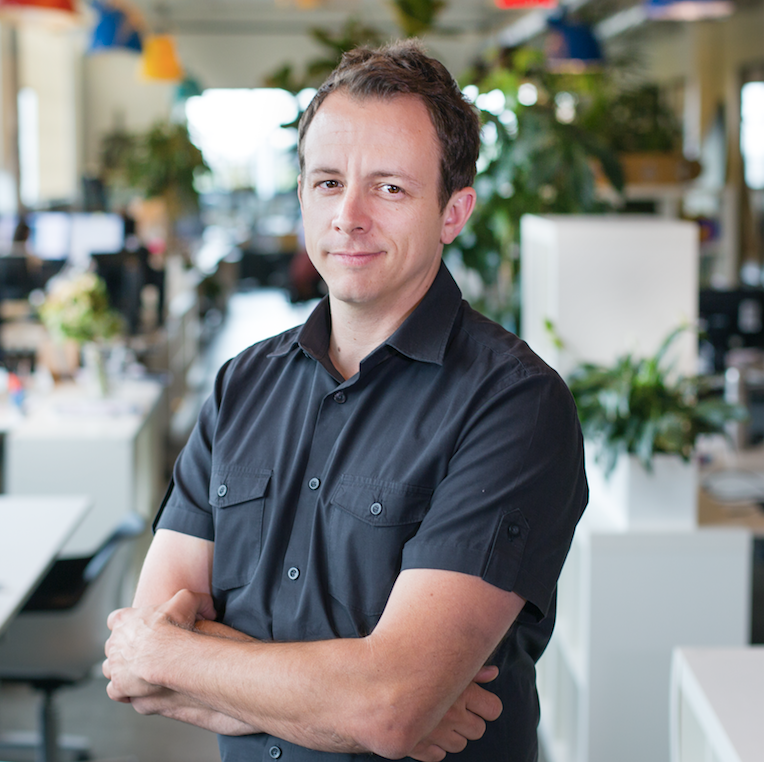 TM: How did Moment Factory evolve to become one of the most sought-after multimedia companies? DJ: Starting in 2001, we were mostly VJing [visual jockeying] for events. We would use VHS and slide projectors, and as digital came in, we started to work with mini DVs. We would film and edit and mix footage with this older technology. This is how we got involved with a lot of Cirque du Soleil events, multimedia festivals, and clubs. In 2008, we were developing interactive technologies to find new solutions to display in a multimedia environment. This caught the attention of a guy working with Nine Inch Nails. They were looking for a similar type of technology to be able to control the video and lighting on stage. So we basically said, “Yes we can do it!” and we had three months to make it happen. I’d say that was the big turning point in how we got involved in the concert industry. TM: How did those three months go and how did you pull it off? DJ: Well, we had no idea how we were going to make it happen because there was no technology off the shelf that we could use. With Roy Bennett, the production and lighting designer, we were asked to control the video onstage. Trent Reznor wanted to be able to control his environment around him. He wanted the screens to be interactive. We had to use sensors and a playback system that had never been configured before. There was a lot of prototyping and testing, and lots of errors, with a very tight deadline. We basically made it happen up to the last minute—until the doors opened! It was definitely one of the most challenging concerts we’ve worked on. 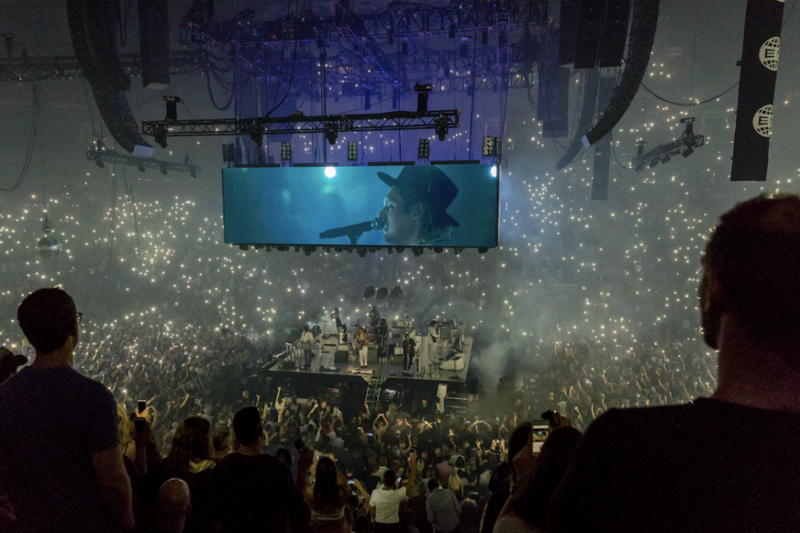 Still today people talk to us about that Lights in the Sky Nine Inch Nails tour and how much they liked it. TM: In general, how involved are the artists as you collaborate on bringing their visions to life? DJ: There’s a very wide scope of involvement. It can go from just a handshake to three meetings a week. Some artists will have a creative director, a creative manager, or a production manager that will mostly give the guidelines. It’s important for us to dig into the artist’s world. We’re there to magnify the artist. What we don’t want to do is to just throw a bunch of lights around for no reason. When we’re into the creative process with them, we’ll bring a lot of different ideas to the table. In the end, it’s always the artist or their creative director that will make the decision. TM: How do you figure out your team when turning a creative idea into reality? DJ: There are a lot of parameters we need from the artist and management’s side to understand what the tour’s about: how many dates, what kind of venues, etc. We often collaborate with stage and lighting designers. We start with a mood board, composed of multiple ideas, either for stage design, content aesthetics, lighting ideas, special effects, or interactive tricks. We will make sure to do our homework, to really understand the artist’s mission, vision, and environment. And then we’ll deliver a first document to them. Once we know what direction we’re going in, we move to the design phase, and this is when we’ll assemble the right team for the project. TM: Are there any specific venues that you’ve been especially excited to design for? DJ: Yes, perhaps Jay-Z at Carnegie Hall, which was a one-night event. That was thrilling because we were taking the architecture of the place and just enhancing it with visuals used to magnify the artist. TM: What are some features and technologies that you guys have put together that you are most proud of? DJ: I think it all comes back to X-Agora, our playback system that we have here in-house. It’s a modular system that we’ve developed over the years, and it’s also using TouchDesigner as a sister platform to do most of the tricks we’ve pulled on the back end for the concerts we’ve worked on. Of course, we also work with multiple sensors and 3D cameras onstage. The tricks are either programmed to react to movement onstage or to receive audio from the artist to trigger visual or lights. We like to challenge ourselves, to crack technology. So all the scanners, cameras, and interface we’ve built to tap into our software and playback system have been customized for every project we’ve worked on. It’s a real challenge to put this on the road. It’s not like you can have 20 spare parts to it. It’s not technology you can get off the shelf in whatever city you’re in, because it’s uniquely configured for the tour. TM: Have you ever had any big problems that you had to quickly fix on the spot? DJ: Oh, yeah. Absolutely, because we’re pushing the boundaries so much. We constantly need to find creative solutions to make sure the doors can open. 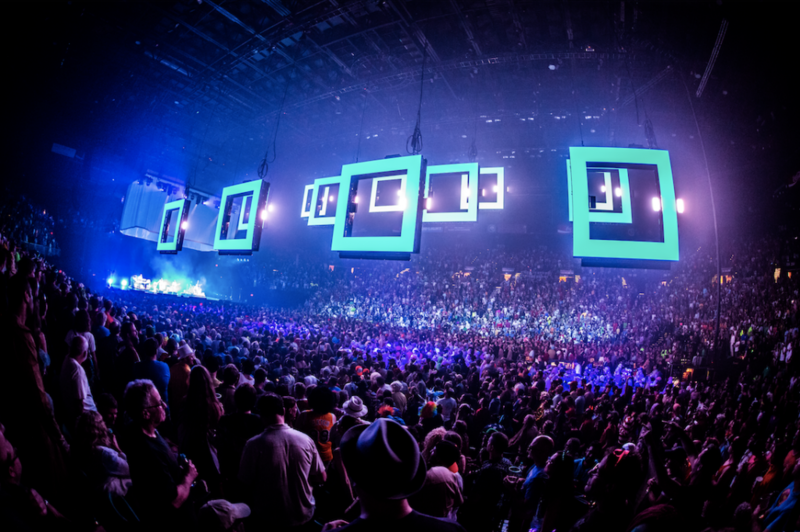 TM: What do you think defines Moment Factory’s overall mission as you create live music experiences and other events? DJ: I think our mission is to keep people gathering together. It’s so easy now to have a full-on experience at home, but there’s nothing that will replace people gathering to watch an artist and live out their emotions together. Our goal is to amplify that experience — to trigger more goosebumps. Follow Ticketmaster on Facebook, Instagram, and Twitter for even more on news, culture, and the most exciting live events happening near you – listed now in the widget below.